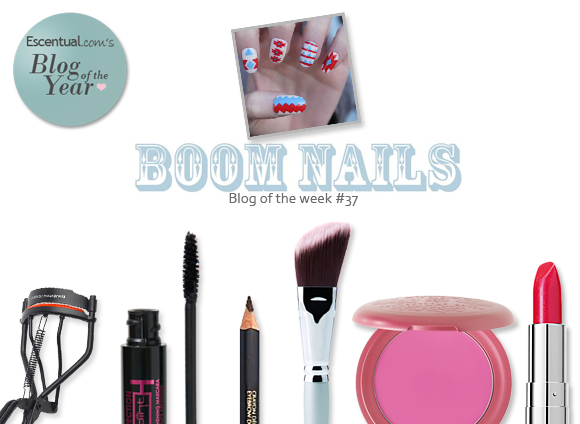 This week’s blog of the week goes out to Emma of Boom Nails, a talented nail artist whose creations are just unreal. From geometric prints to Batman symbols, cute little graphics to bold stripes, Emma can pretty much transform any nail into a mini piece of art. My absolute favourite of her creations is this mix and match design that includes a mini moustache (! ), a cupcake, a chick and some leopard print. Amazing. It’s not just Emma’s eye for colour and the technical greatness of her graphics that make her nails really exciting; it’s also the creativity that goes into them. No design is too wild or complicated – pretty much anything goes! Boom Nails has inspired me to experiment with colour and design on my own nails, and it’s guaranteed to make you want to, too. This entry was posted on Friday, September 16th, 2011 at 8:00 am and is filed under Blog of the Week. You can follow any responses to this entry through the RSS 2.0 feed. You can skip to the end and leave a response. Pinging is currently not allowed.